Sometimes, relaxing on the beach in a comfy bikini, makeup free, with your hair piled up off your face is one of the best ways to spend a day at the beach. However, sometimes, you might want to give your beach outfit more of an edge. Maybe you’re going to a beach party, or you’re meeting friends, or you just want to make sure you look your absolute best. Giving your beach outfit more of an edge could fill you with confidence! Going to the beach and looking your best means finding a great pair of shoes. You don’t necessarily need to wear anything with height, but it can help you to look taller and slimmer. If you want that, then try a pair of wedges. Anything else and it could be dangerous at the beach! If not, then flip flops ar probably your best bet, but sandals look cute too. You can find so many fun pairs if you look in the right places. You’re not always going to want to sit there in your bikini or swimsuit. You might want something to throw over it every so often. A sassy beach cover up could be a comfortable dress, a kimono, or even a lace style top. 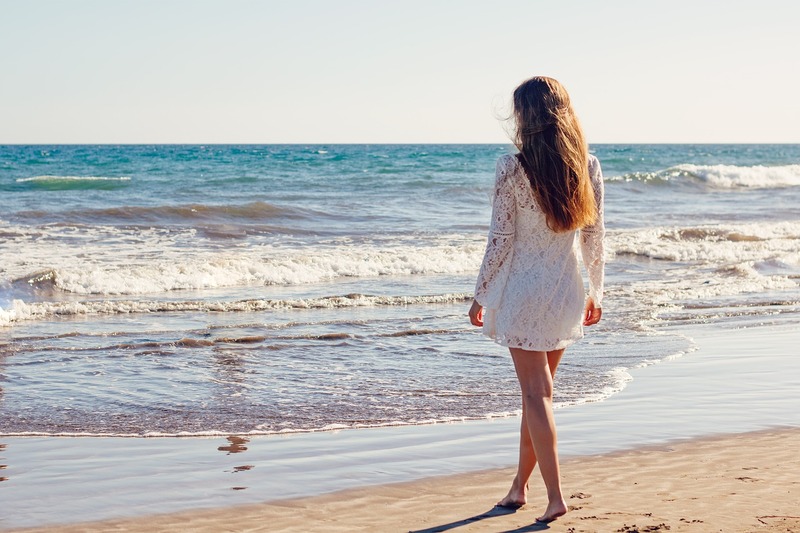 It’s better if you look for actual beach cover ups rather than choosing something else to use as one, as they will be specially made to look great whether they get wet or sandy. Of course some people just choose to use an oversized t-shirt, but they don’t always look great! Wearing jewellery can definitely give your beach outfit an edge. However, you don’t want to wear to much, and you definitely don’t want to wear anything that could get ruined. Custom made earrings are a great call, as they will draw attention to your face and won’t get ruined. You could also use costume jewellery; some people like to wear body chains, arm cuffs, and other cute and unusual pieces. How about trying a new hairstyle? You could go for a fishtail plait, box braids, or even a low, messy bun. Piling your hair up in a high pony or bun is fine, but a small change like this could make you look amazing! You could potentially simply spray some texturizing spray in your hair and scrunch it up to give it that wavy beach feel, but think about whether you’ll want your hair in your face or not. You probably won’t if it’s hot! Hats look great at the beach. They protect your head and face, and add an element of style to your look. Try on a few different styles and see what suits you. Finally, if you want to look your best, waterproof makeup is a must. Waterproof mascara is a great invention, so make the most of it! Should you save to travel the world?